When your basic due diligence checks flag an entity risk, it’s vital that you escalate and develop enhanced due diligence procedures. This is especially true when risk levels warrant more in-depth investigating – you need to be sure you have advanced due diligence in place for full protection. LexisNexis® has entered into an alliance with due diligence experts The Red Flag Group. Our goal has been to develop an advanced solution to support bespoke due diligence investigations. The solution – IntegraCheck | Integrity Due Diligence – addresses integrity and compliance risks posed by threats ranging from third parties working on your behalf to joint ventures, suppliers and beyond. Sometimes the risk level warrants a deeper due diligence investigation. And when it comes to increased risk, your business needs a due diligence service provider who understands the varying levels of risk. See how IntegraCheck® | Integrity Due Diligence fits into your risk mitigation strategy. Offering five distinct levels of risk reporting and flexible pricing options, IntegraCheck | Integrity Due Diligence can fill in the gaps in your risk mitigation process. 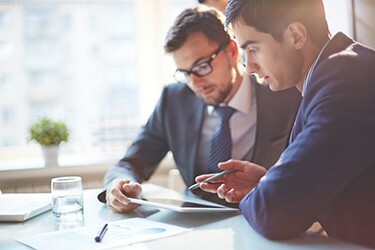 Guidance and coaching is provided by due diligence consultants with real-world experience in rolling out global compliance programmes. We provide external manpower for when due diligence projects arise and you don't have sufficient internal resources, such as batch screening and remediation projects. The Red Flag Group brings unmatched experience in outsourced due diligence investigations, with over 500,000 company or individual reports completed in 45 languages. Offering extensive on-the-ground coverage for local and international laws and regulations, they are experts in due diligence services. What Does an IntegraCheck Report Cover? With five different levels of reports, you can select the depth of due diligence reporting appropriate to the risk level. 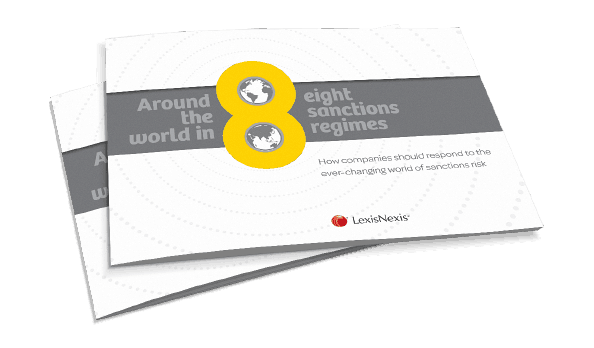 Reports can cover anti-corruption and anti-bribery, third-party screening, company background checks, ethics and corporate social responsibility checks and more. As compliance and integrity risk experts, The Red Flag Group provides a customised and interactive learning solution for your compliance training, helping you take it to the next level. 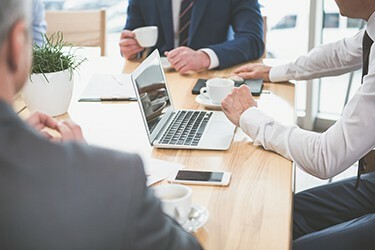 You will achieve higher engagement rates and create a more positive reaction among your participants, leading to a greater acceptance of your compliance training initiative. 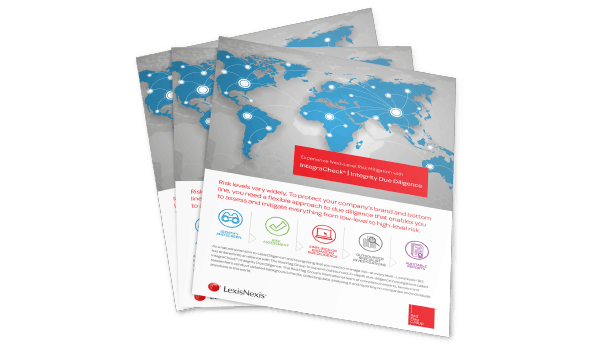 Read our guide as an introduction to our IntegraCheck solution. A flexible approach to assess and mitigate risk. 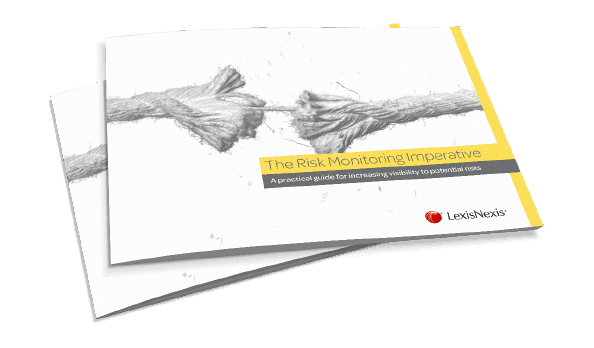 Download our e-book today to find out how you can maintain compliance to ensure your company is protected.